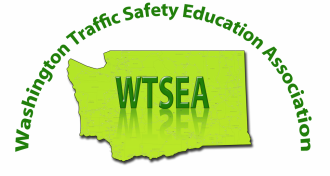 ​Due to a decision made in 2002 to cut state funding for Traffic Safety Education, TSE is not what it used to be in Washington State. Prior to that, Washington’s TSE program was considered by national experts to be one of the best in the nation. That is no longer the case. And it is a shame. Few appreciate, let alone are aware, of what the state has lost due to that decision. Many school districts stopped offering the program once the funding was cut. Several have hung on, offering a shorter version that only meets the minimal standards of the law. Gone are the rigorous, comprehensive programs that were offered for credit. Gone is the administrative support at OSPI which carried out the mandate to offer a quality program. Gone are the nationally recognized TSE leaders with a vision that did not merely focus on helping young people pass a simple licensing test, but encouraged best practices in teaching the skills and knowledge to be safe drivers once licensed. Now, the same schools that do the training administer the licensing test. Have we been reduced to this new reality that TSE programs should be about teaching to the test? We have only a shell of what used to be. Many existing public-school TSE programs are dying a slow death as instructors age, and no young teachers are coming in to replace them. The crying shame is that it seems nobody seems to care that public-school TSE programs are dying, and nobody is doing anything about it. Why? That is part of the problem. We are confused as to what we really expect from Traffic Safety Education. The decision to cut public-school TSE programs makes some unfortunate assumptions, and ignores some unique factors about the benefits of those programs. ​An important question schools, communities, and policymakers ought to be asking is, should we care if public schools offer Traffic Safety Education? Another question few are asking, but ought to be, is, “Does the state of Washington lose something valuable to its citizenry and to the ultimate safety of its roads if TSE in the public-school system is allowed to die off?” What would that event mean in the face of our state’s “Target Zero” goal to reach zero fatal driving deaths by the year 2030? ​Despite the lofty state goal of “Target Zero,” few public-school officials, road safety stakeholders, or state policymakers are asking the question, “If we lose TSE in the public schools, does that reality make it more difficult to achieve our goal of zero driving fatalities by the year 2030?” This is a tragic oversight. And yet, the question is an important one. More should be asking it. And, before we lose the program entirely, a realistic effort at answering that question should be attempted. Those of us who are aware of the critical problem of the ultimate demise of public school TSE must become more vocal advocates of preserving the program. To begin with, we need a clear understanding of the unique advantages of keeping TSE in the public schools. We need to have in our minds, and on our tongues a ready answer to the question, “Why should Traffic Safety Education remain in the public-school system?” What are those unique factors that public school TSE programs can offer? ​Broader Range of Service and Accessibility - Public schools do a better job of reaching more students because they are set up to do so. SPED, multilingual, low income, and rural students generally have better opportunity to be serviced by accredited teachers in a school system designed to meet the needs of all students. This is especially true in the rural areas of the state where the only option is the public school. Many rural areas of the state are not being serviced by a private school because there is no profit-motive to offer the program. These students have been overlooked and neglected by the assumption that the private sector would fill the void left after public-school TSE programs were dropped. Career Readiness – Driving is an essential life skill, isn’t it? One cannot get around in our society without this skill. It not only grants access to being able to enter the work force, but many careers involve driving. Since the purpose of education is to prepare our youth for their future, driving safely is no less important a “basic skill” than any other subject or elective offered in a public school. It is also a dangerous activity, and one we know is the number one cause of death or injury to young people. That fact ought to elevate the importance of having it be a subject matter offered in high schools, with an emphasis that goes well beyond preparing a student to pass the simple licensing test. Developing safe driving habits is the goal and purpose of Traffic Safety Education. That makes it as worthy and necessary as health education, physical education, CTE, computer technology, etc. More importantly, perhaps, is that we don’t attend funerals of students who don’t know how to operate a computer, or even if they make poor decisions on diet or exercise. It simply does not make since to require “health education” and other career-readiness electives, while maintaining the attitude that traffic safety education isn’t at least as important as these other “required” subjects. Policy-wise, does it make sense for us to spend the kind of dollars we do each year on the education of a student, only to have that life potential snuffed out due to a car crash before his/her adult life has even begun? Connectedness - Relationships of trust and familiarity have already been built between the teachers in a public school and the students they serve. Much research has shown that when a teacher knows and cares about his/her students, learning is enhanced. Lower Cost and More Convenience – With the course being right there, where the students are, more students can access the program. And, because most public-school TSE programs are not for-profit enterprises, they usually offer the least costly option available. Once again, many young people are waiting until age 18 to get their license, and are becoming licensed without a formal education in safe driving habits, because they simply cannot afford the cost of driver’s education in a commercial school. Anecdotal evidence suggests that there are many who are not waiting, choosing instead to drive illegally, under the radar. Academic Focus – Public-school TSE programs are not focused narrowly on passing the DOL test as the measure of success. The focus is about teaching reduced-risk, safe driving through learning safe driving habits. Simply put, most public-school programs are focused on teaching safe driver behaviors, not just concentrating on the driving maneuvers necessary to pass a state licensing test that is admittedly too basic. Teaching to the license test is a poor focus because it is not at all a true measurement of safe driving skills necessary to operate in a complex highway transportation system. With a more academic focus, public school programs generally have higher standards of performance and rigor in both the classroom and the BTW lessons. Despite the loss of funding and the consequent reduction in classroom hours, most public schools still require graded homework assignments and passing of multiple assessments throughout the course. The course is performance-based, meaning students must pass each objective at a high level of competency (usually 80%). The result of this is that students in a public-school program are often more knowledgeable and better prepared as a beginning driver. With the increased graduation requirements, many school districts are once again offering the TSE course for credit, even as an after-school program. Classroom Time – Most public-school TSE programs offer more hours in the classroom than the state-mandated minimum of 30 hours. The national standards suggested by NHTSA are 45 classroom hours. Most public-school programs approach that by averaging 36 hours. Some offer more.Behind-The-Wheel (BTW) Time – the minimum is six hours. Under the performance-based concept, many public-school students get more hours if necessary, because they need more, without being charged additional fees. This is not usual or even possible in a private, for-profit business. In many commercial schools, students get even less than six hours BTW time, due to a different interpretation and application of “simulation.” (See next bullet) This is simply a cost-saving measure to reduce the BTW time, not a decision made to increase quality of instruction. Note: The NHTSA recommendation for minimum BTW instruction is ten hours. This is because it is quite clear that the BTW instruction is the most critical type of instruction needed, and that six hours is woefully inadequate. ​Observation time – OSPI rules require at least four hours. Most programs offer between 6 and 12 hours; DOL requires only one hour, and few exceed the minimum. There is much to be learned from observation if the instructor deliberately involves the back-seat learners in the lesson, turning the whole lesson into an interactive learning experience for all in the vehicle. Public school TSE programs make back seat observation a critical component to the overall delivery of quality instruction. Back seat observation is a best-practice, and it is taken seriously by public school TSE programs. Stricter Definition of “Simulation” - means that students are not robbed of essential BTW time by taking advantage of a loose interpretation of a rule. Several commercial driving schools offer only five hours BTW if students spend four hours on a computer reviewing driving scenarios. Though not valueless, such computer programs are not actual “simulation” and involve no kinesthetic activity with controls, which is what true simulation is. Further, the DOL defines the simulation experience so loosely that the student doesn’t even need to respond personally to each scenario. An entire class observes the scenarios passively while only one student at a time responds to the scenario. As long as each student responds by operating the mouse at least once during the “simulation” experience, then the student receives credit for the simulation lesson. Such passive observation of others making the driving decision is clearly against all conventional wisdom in the best practices of quality education, and is clearly not “simulated” driving experience. This is why public-school programs do not apply this interpretation of “simulation,” and why it is not permissible by OSPI rules. School Administration – Public school officials (superintendent, principals) provide another level of oversight and a 3rd party viewpoint if complaints or grievances need to be addressed. The school administrator is an advocate for the student and parent and can provide a remedy, or correction, if a teacher if found to be in the wrong. Logging of BTW Lessons - Most public-school programs require use of the logbook during the course and require a minimum of 8-12 hours home driving practice to be logged as a graded assignment. Use of the log is explained at a parent night. Parent Involvement – Although not required to do so (yet), most public-school programs host a parent meeting that is part of the course. Attendance is mandatory in many programs. By law, 50 hours of home practice is required prior to receive an intermediate license. Providing parents information, tools, and a logbook so that they can be effective in conducting guided practice sessions is a critical component of a quality TSE program. Guest speakers – Since many public-school programs offer more classroom hours, they are able to bring in additional speakers to better inform students on matters of expertise. Some of these guest speakers are police officers, coroners or E.R. nurses/paramedics, insurance representatives, vehicle maintenance experts, experts in sharing the road with trains, motorcycles, trucks, etc. This is not an argument meant to claim that public schools are “better” than options in the private sector. It is, however, an argument clarifying the features that make public school traffic safety education programs a viable alternative that should be more readily available than they currently are. The public would lose something very valuable if we lost public-school traffic safety education entirely. Public-school TSE programs do have unique advantages that offer a quality alternative at a very affordable cost. And in those places where they are the only option, they are necessary if we want more safe, trained drivers on our state’s roadways, rather than fewer.